I am Dynamic Doug once again as CW and Phish return to discuss the Monsters series with a special focus on the “Pillow Talk” episode. Listen, right click and download, or find us on Itunes or Stitcher. Whit and I cower in the dark as we discuss Tales From The Darkside‘s “Monsters In My Room”. Listen, right click and download, or find us on Itunes or Stitcher. Matt is back with me to talk about the Amazing Stories episode “Mummy Daddy”. Listen, right click and download, or find us on Itunes or Stitcher. Harvey Keitel just showed up with a robot. You know this isn’t going to end well. 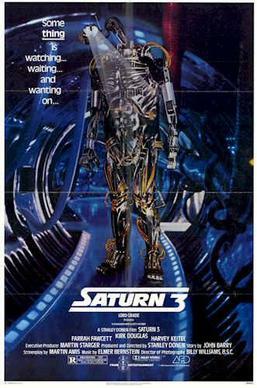 It’s 1980’s Saturn 3, this week’s CCCM. Listen, right click and download, or find us on Itunes or Sticher. 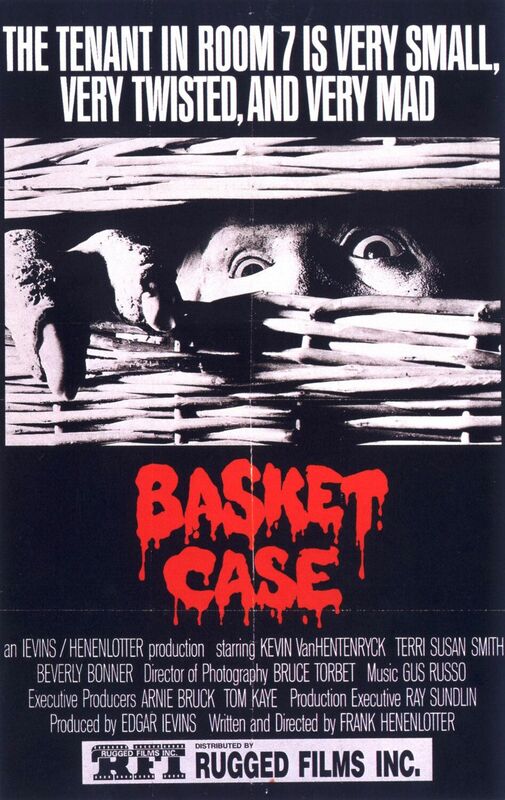 There is one basket case no one should try to open up. It’s 1982’s Basket Case. Listen, right click and download, or find us on Itunes or Sticher. 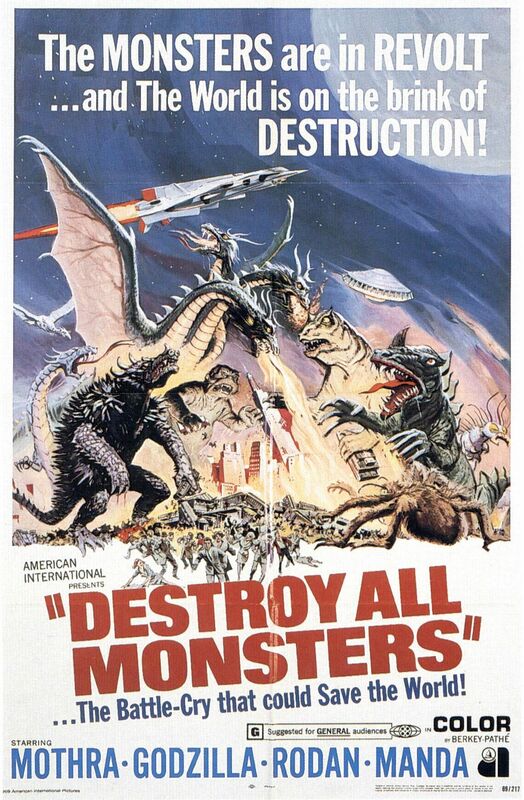 Destroy All Monsters, the Expendables of the Godzilla movies, on this week’s CCCM. Listen, right click and download, or find us on Itunes or Sticher.